CALDO undertook a series of missions in 2018 in our partner countries in Latin America. In April 2018, we were in Brazil for the FAUBAI conference alongside three of our member universities. We organized a dedicated CALDO event in Rio de Janeiro as well as a presentation during the FAUBAI conference. We also had meetings and presentations at universities in Rio de Janeiro, Belo Horizonte, and São Paulo. Throughout the CALDO dedicated events and university visits, we interacted with 330 candidates. During the same month, we also visited eight of our members for the CONACYT graduate fairs in Mexico. We delivered presentations at several universities from Mexico City, Leon, and Guadalajara. 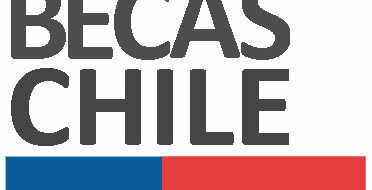 CALDO and its universities interacted with 1164 candidates. In September, CALDO and six of its members participated in the Edu-Canada events in Chile, where we had the opportunity to attend the EduCanada fair and visit several universities in the following cities: Santiago, Concepción, Valparaiso and Viña del Mar. From all our activities in the country, we interacted with 966 prospective candidates. CALDO went for the first time to Panama with eight of its members. 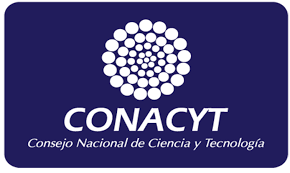 We used the opportunity to advance our conversations with SENACYT for establishing a financing student mobility agreement. We also visited two of the main universities in Panama (the University of Panama and Universidad Tecnologica de Panama) where we delivered presentations for students and held meetings with university officials. In Panama, we interacted with 517 prospective candidates. Colombia was another destination we visited in September and once again were accompanied by six of our members. We participated in two days of EduCanada fairs in Bogota and held meetings with government agencies that provide funding for graduate studies abroad. Our activities in Colombia enabled us to connect with 693 candidates. Overall CALDO and its members visited four countries, 12 cities, connected with 3670 prospective candidates and between government agencies and higher education institutions held more than 20 meeting. The success of these missions is confirmed by the number of information requests from prospective candidates that the CALDO office received during 2018, which represent an increase of 30% when compared to the same period last year. These trade missions were made possible thanks to the dedicated work from the trade commissioners at the Embassy of Canada for each country and Global Affairs Canada’s Global Opportunities for Associations program.